Thank you Jesus for what You did on the calvary. We are only sinners yet You love us so much. Thank you thank you thank you. Are you celebrating Good Friday? Me and my family are going to church tomorrow. Despite the fact that I am grateful, my church often replay that movie The Passion of The Christ on the crucifying scene.. Which was dreadful and horrible and I get bad dreams at night. But I can't not watch it because I want to make sure I never forget how much Jesus loves me. THAT so much pain is how much He loves us. Like Queen Elizabeth says, grieve and pain is the price we pay for love. One day I found my way to a highwaist skirt and I never looked back... I am a curvy (hourglass) girl and my smallest part is my waist so this is the perfect silhouette for me and all of you curvy girls out there. Curvy is not a matter of weight. It's a matter of the proportion between your bust, waist, and hips. My bust measurement is pretty much the same with my hips (only one inch difference) and my waist is well defined. Even girls with tiny tiny hips can be curvy. More info HERE to find out which category you belong to! 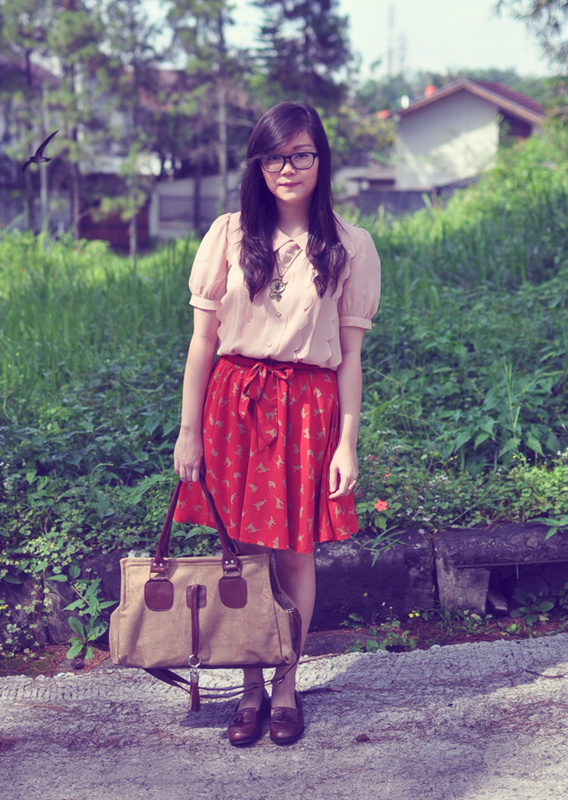 love your skirt soo much!! such an adorable look. love you very vintage, romantic, classy style. great idea to make an ootd video! enjoyed your video..you are amazing. what a cute look))) Great pictures as well! the vintage touch of this outfit is amazing! The oxfords are so perfectly preppy!